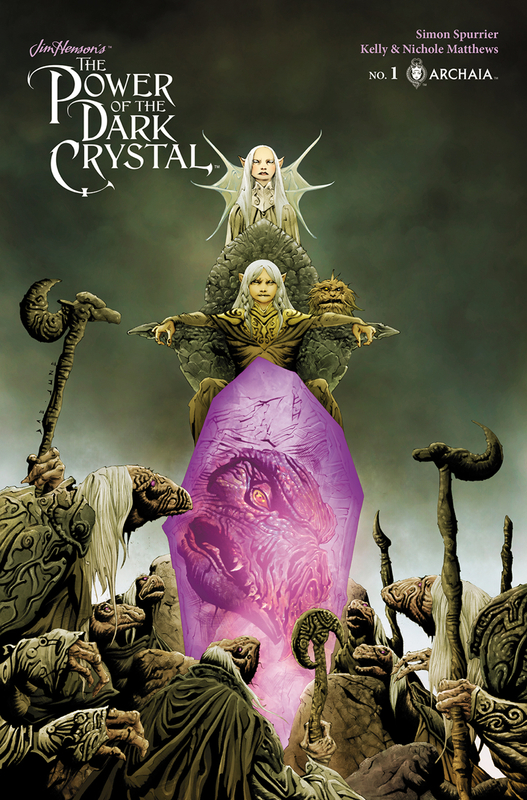 We Finally Get The Sequel To ‘The Dark Crystal’, But It’s Not The Sequel We Deserve!!! If you’re a fan of ‘The Dark Crystal‘, and let’s be honest here, who isn’t a fan? You’ve been waiting for a long time to bathe in the glory of a sequel that will take us all back tot he world of Thra, your time is finally here. Alas, it’s not a film you’ll be queuing up to see, but a comic book series that’s based on the unproduced screenplay that was to be the follow up to the 1982 fantasy. The comic will be released digitally and in comic stores beginning February 15, 2017 just in time to celebrate the film’s 35th anniversary. ‘The Empty Man’ Comic Being Adapted With James Badge Dale!! ‘Malignant Man’ is Coming to the Big Screen! This entry was posted on Monday, November 21st, 2016 at 2:55 pm	and is filed under Comics, Film, News. You can follow any responses to this entry through the RSS 2.0 feed. You can skip to the end and leave a response. Pinging is currently not allowed. « We’ve Got The First Peek at ‘Cars 3’ For You!! !